I'm happy to be welcoming Victoria Kincaid back to Babblings of a Bookworm. 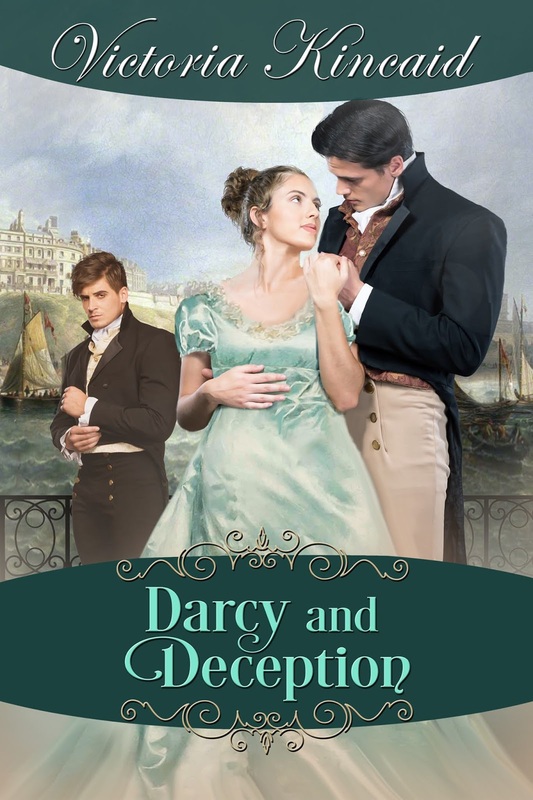 She's joining us with an excerpt and giveaway of her new Pride & Prejudice variation, Darcy and Deception. Where's the deception? Spies!!!! Let's have a look at the blurb and I'll hand over to Victoria for her post. Happy New Year, Ceri! And thank you for having me as a visitor. 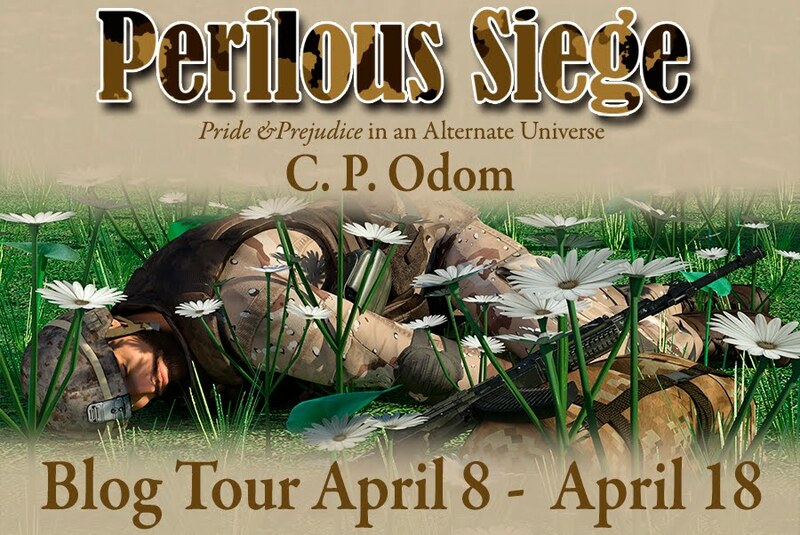 When I was writing The Unforgettable Mr. Darcy, I did a lot of research about spies during the Napoleonic Wars. This research turned out to be useful when I ended up writing another P&P variation—my newest book, Darcy and Deception—about spies (although this one is set in England). One of the more intriguing stories I learned was that of Jean Claude Mehee Hippolite de la Touche (try saying that ten times fast 😊). Posing as a French émigré, Mehee arrived in London with a plan to simultaneously foment insurrection in France, Italy and Switzerland. The British government knew he was a French agent but allowed him to believe they were following his plan. The British ambassador to Munich, Francis Drake, was ordered to cooperate with Mehee and thus became a sacrificial lamb to the cause of keeping the French deceived. British compliance with the plan helped to distract the attention of the French from the efforts of Britain’s own spies in 1803, who were busily plotting the assassination of Napoleon. In 1804, Mehee publicly revealed the plot and his correspondence with Drake, humiliating him by showing that he had been duped by a French agent. The British secret service would not allow Drake to reveal his role in the larger scheme to fool the French. Even after his death, Drake’s sons were not permitted to publish the letters that would clear his name. Elizabeth had been surprised at the invitation to accompany Lydia and Mrs. Forster to the beach. She was hardly a favorite of Mrs. Forster’s, and there were many flighty officers’ wives in the town who could have accompanied the two women. However, as they walked down to the beach, she recalled that many of those women had expressed a great fear of the sea—particularly the prospect of being bitten by fish. As they neared the beach, it became clear that the invitation had been at Lydia’s instigation. She was excited to have a chance to try real sea bathing but also demonstrated substantial anxiety about the endeavor. Elizabeth had been to Ramsgate with her aunt and uncle Gardiner, so she was familiar with visits to the sea. But it was all new to Lydia, who slipped many glances at her older sister as if seeking reassurance. Elizabeth was secretly touched that her sister found her presence comforting. Elizabeth had been silent during the walk as Lydia and Mrs. Forster dominated the conversation. First, the colonel’s wife complained about the dreariness running a household on a militia salary—although she appeared to have a copious supply of jewels and gowns in the latest fashion. Then the conversation turned to who was in Brighton that week. Lydia was excited that the prince regent was in residence at the Marine Pavilion, but Mrs. Forster dashed the girl’s hopes for encountering royalty. “The prince rarely leaves the Pavilion when he visits the town,” she said with great authority. Lydia pouted, but Elizabeth thought it was just as well given what she knew of the prince. “Then we shall add a new book to the Bible called the Book of Lydia,” Elizabeth teased. “Are you certain?” Lydia’s fingers worried a bow on her dress. Elizabeth had heard of the book, which had helped to prompt the popularity of sea bathing in England, but she was dubious about many of its claims. “Do you have diseased glands?” she asked. “Quite a wise precaution,” Elizabeth agreed. Victoria has a Ph.D. in English literature and has taught composition to unwilling college students. Today she teaches business writing to willing office professionals and tries to give voice to the demanding cast of characters in her head. 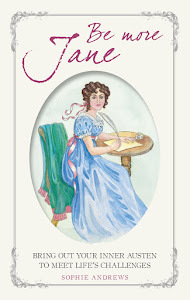 She lives in Virginia with an overly affectionate cat, two children who are learning how much fun Austen’s characters can be, and a husband who fortunately is not jealous of Mr. Darcy. A lifelong Austen fan, Victoria has read more Jane Austen variations and sequels than she can count – and confesses to an extreme partiality for the Colin Firth miniseries version of Pride and Prejudice. 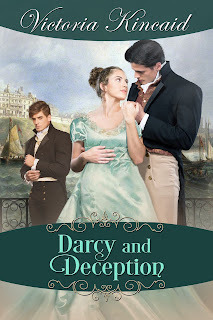 Because Victoria loves us she is giving one of us the chance to win an ebook copy of Darcy and Deception! To enter, just leave a comment on this blog post by the end of the day on Wednesday 30 January. Either leave a method for me to contact you (such as an email address, Twitter name, or let me know if we are friends on Goodreads) or follow the comments and I'll let you know when I post the winner. This giveaway is open to international entrants. Hi Vesper, I'm glad you found the excerpt intriguing! Good luck with the giveaway. Looks like another wonderful variation. I look forward to reading it! Hi Lily, Thank you for your interest and good luck with the giveaway! I hope you enjoy the book when you read it, Lily. Hi Agnes, I'm glad you found the excerpt intriguing! Good luck with the giveaway. I like to think that Lydia had potential, Agnes. She has a lot of good qualities if only she was a little more thoughtful and mature. Hi Claire, I'm glad you found the excerpt amusing! Good luck with the giveaway. Enjoyed the excerpt and loved the interaction between Lydia and Elizabeth. I'm glad you enjoyed the excerpt! Good luck with the giveaway. OMG!! I hope this doesn't mean that Elizabeth will be the sacrificial lamb in this case. Hopefully, her name and reputation will remain clean. Poor Darcy, to see the woman he loves in the company of his worst enemy has to be a bitter pill. This is on my wish-list. I would love to win a copy. Good luck to everyone in the drawing. Thanks to our author Victoria and the publisher for this giveaway. Thanks also to Ceri for hosting. Ceri, we are GR friends and I appreciate your blog and comments on GR. Blessings to Victoria on the success of this work. Hi there Jeanne. Elizabeth had better not be the sacrificial lamb (shakes fist menacingly!). Hi JW, Yes, Darcy has to endure a lot before the HEA! Good luck with the giveaway. Interesting plot! Any story by Victoria Kincaid would be a treat. Hi Alexandra, Thank you for being an enthusiastic reader! I'm glad I'm not the only one who likes tormented heroes. Good luck with the giveaway. Glad you enjoyed the excerpt, Christina! Hi Christina, I'm so happy you enjoyed the excerpt! Good luck with the giveaway. I read and enjoyed this story. I have read many of your books, Victoria, and know when I see you have released a new one that I can count on enjoying that also. Hi Sheila, Thank you for that endorsement! I'm so happy you enjoyed the story. Hi Sheila. I'm so glad to hear that you enjoyed this book. It's so nice when an author becomes a must-buy author. Thanks for your blog post gals! I'm really looking forward to reading this tale and can't wait to see how the plot is worked out. Love it! Hi Jen, I'm so happy you found it intriguing! Good luck with the giveaway. Glad you enjoyed the excerpt, Jen! Well, I doubt that I could say "Jean Claude Mehee Hippolite de la Touche" even one time, much less 10 times! Cute excerpt. Thank you for the fantastic giveaway. Hi Ginna, I'm with you, I doubt I would get it right even one time! Good luck with the giveaway. I don't think I could either, Ginna! Glad you enjoyed the excerpt. Very good tease. Can’t wait to read it! Hi Lily, I'm so glad you enjoyed the excerpt! Good luck with the giveaway. Thank you for sharing a bit of your research into French spies, Victoria. I have previously read the sea bathing scenes on another blog so it was good to know what occurred before that. It's funny to read about Lydia's unfounded fears of fish and whale stopping her from enjoying herself. Thanks Ceri for hosting and your excellent blog! I hope you enjoy the book when you read it, Ruth! I've added it to my want-to-read list. Twitter is ohzut. I hope your TBR list is more achievable than mine, KW, it's quite a mountain! I am hoping to win a copy as I love your books, Victoria! You did a lot of research Victoria, very interesting. I'm looking forward to reading your book. Congratulations and thanks for the giveaway. I love finding out about the research that some authors do, because I am too lazy to read up on such things myself! I haven't read many sea bathing scenes either, but they are fascinating because they are so different for how we'd go to the beach today. Congrats on another release! Interesting to have Elizabeth helping out with watching Wickham. What a fun excerpt. I hope Lydia behaves herself at Brighton with Elizabeth’s presence. That's a good point, Dung, that Lydia might behave better at Brighton with family there. I wonder if Mrs Bennet had a point!